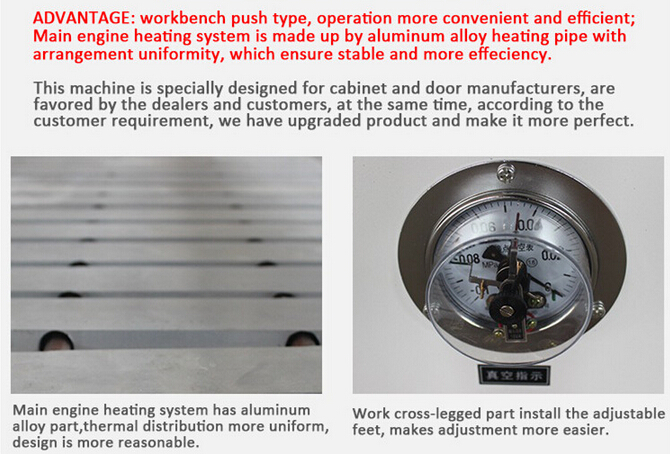 3.Utility of 15L vaccum pump,ensure large suction power. 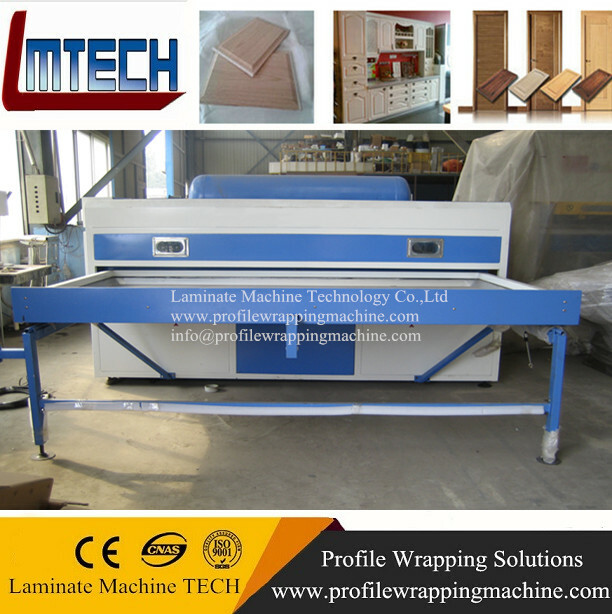 4.Designed as 2 working tables, which will avoid heat wasting and save time and energy efficiently. 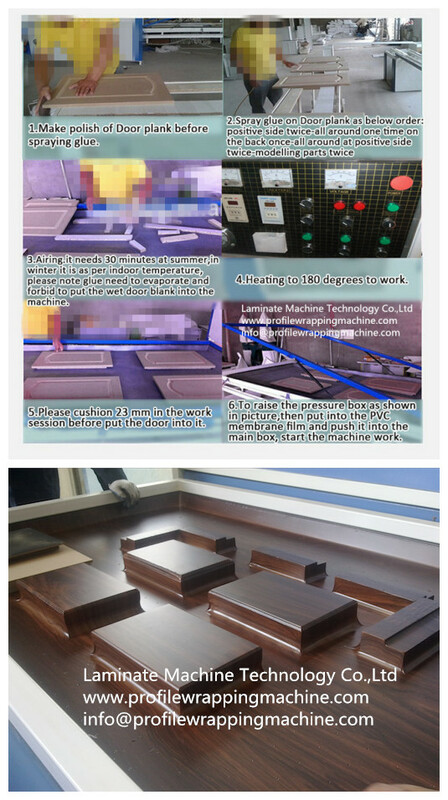 cooling system can make sure of high quality of products. 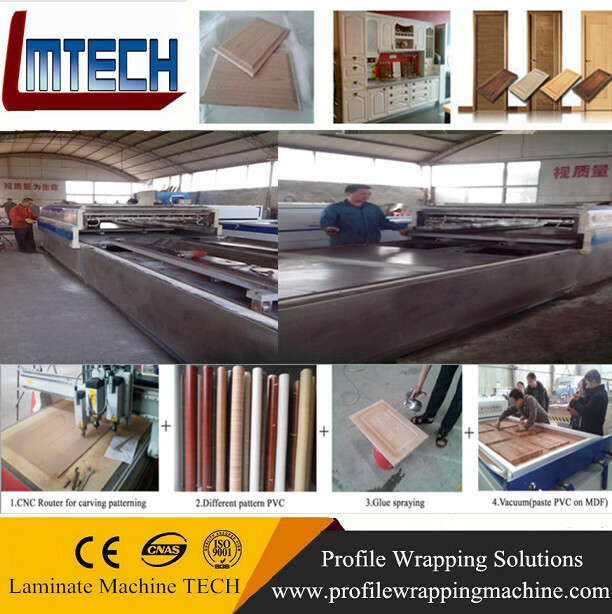 and all kinds of baroque decorative surfaces with PVC films and natural veneer and hot stamping foils. 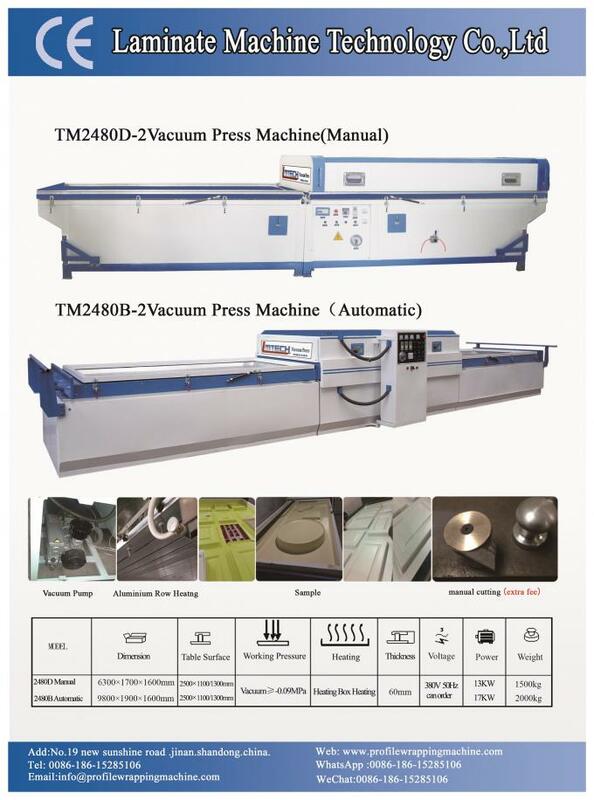 - Two kinds of function, one is by manual and the other is automatic. 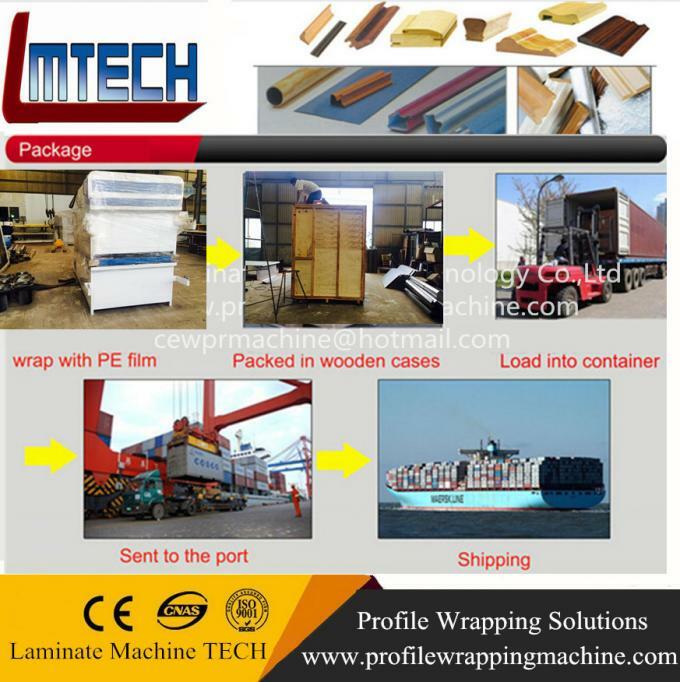 - The operation is easy and efficient. 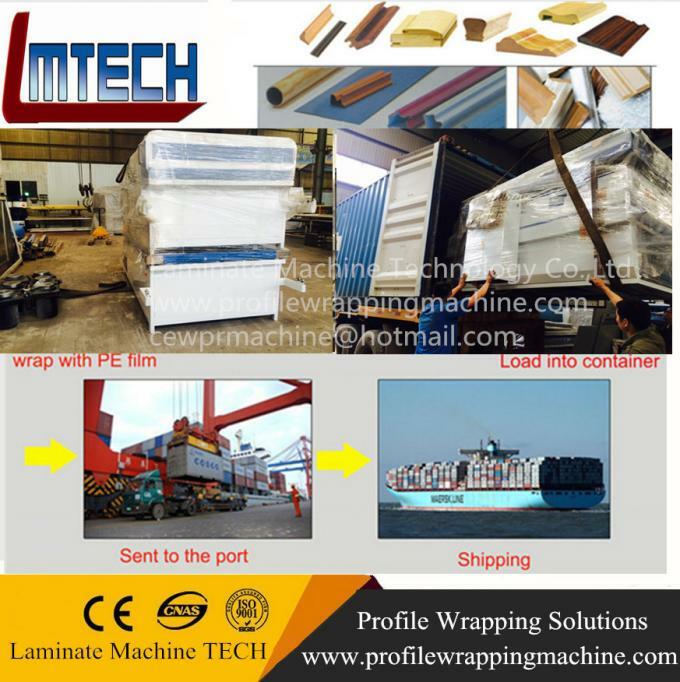 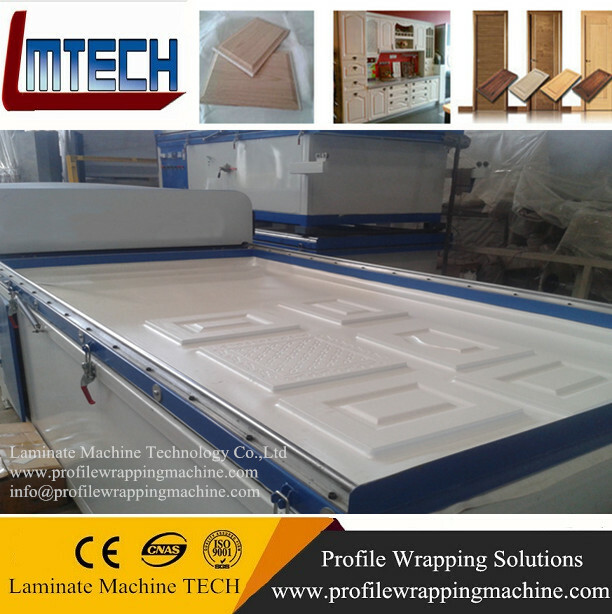 - It is suitable for covering PVC film on the surfaces of all kinds of plate type furniture, sound boxes and ornamental materials etc. 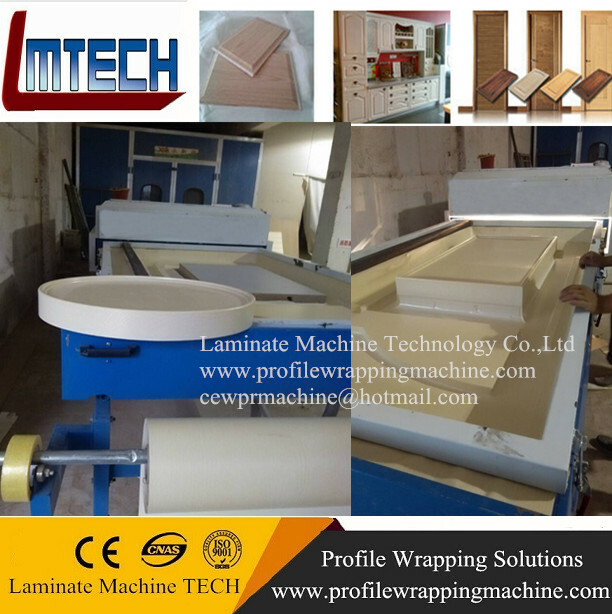 - Using the special hot-press gum. 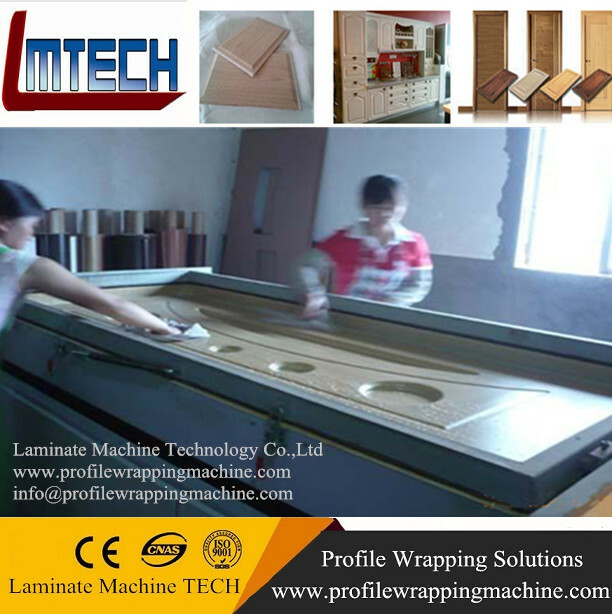 - Particularly it is used to covering on concave and convex line and various shape edge surface. 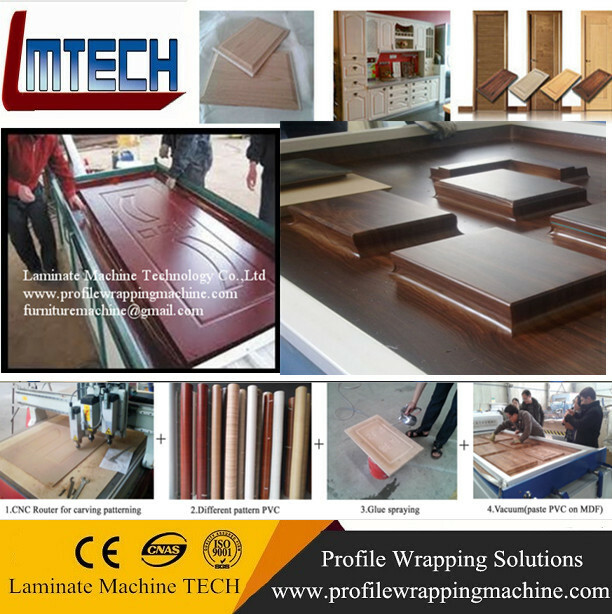 - No pollution, no peculiar smell, quick installment and beautiful appearance. 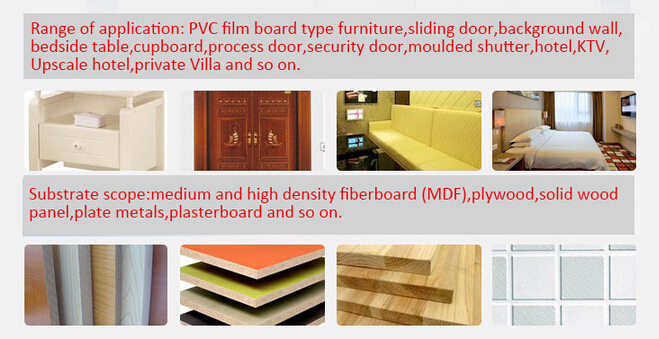 - It is the ideal equipment in interior design. 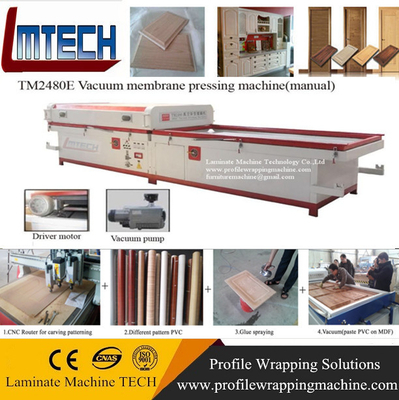 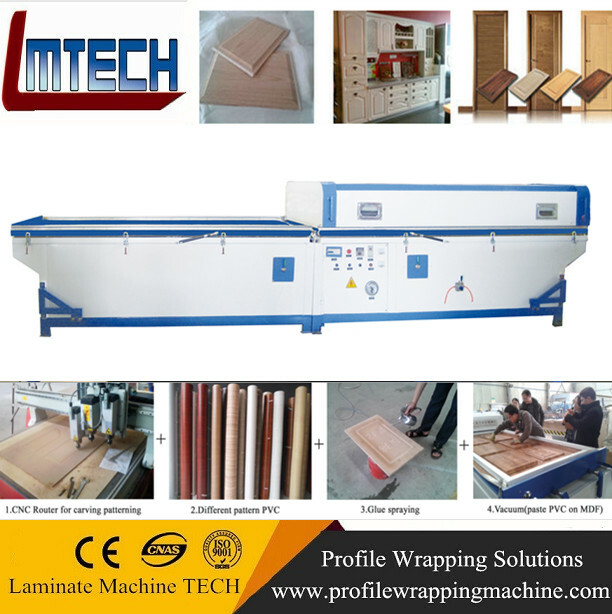 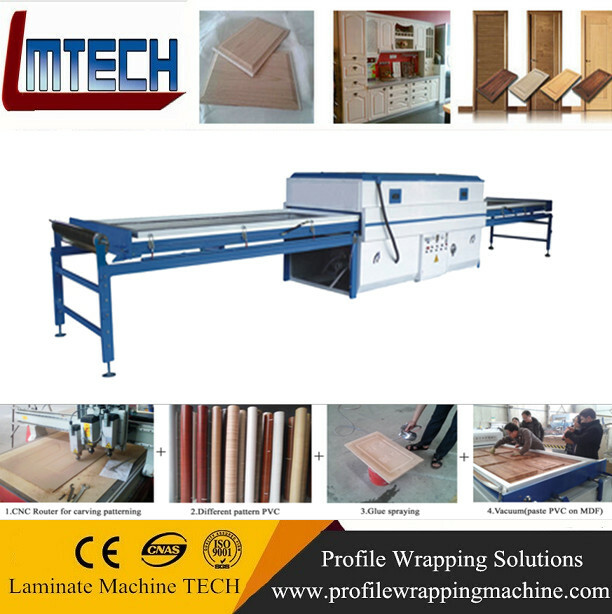 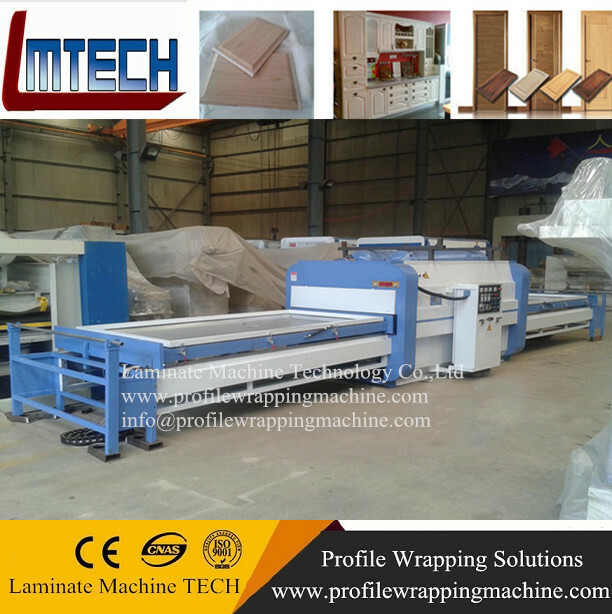 Further information on vacuum membrane press video and PVC wood door panels vacuum membrane press machine price ,please feel free to contact us .